As our country is moving forward economically, new relations are forming every day. Trade and commerce sector is taking us all over the world. Business negotiations and conflicts have become part and parcel of today’s financial scenario. In this globalized world, not doing business with someone or some company because of past bad reputation can never be an option. After all, financial progress and negotiations must be done with the ulterior goal in mind. Arbitration as an alternative way to conflict resolution has, therefore, become a life-saving approach. 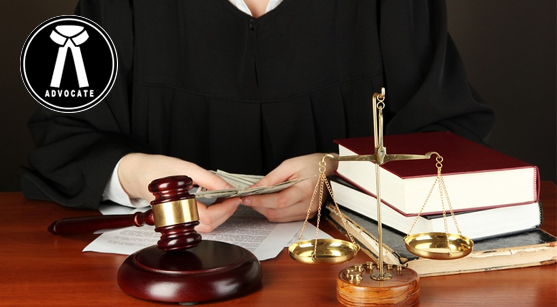 With the help of high court advocates in Chandigarh, you can enjoy the benefits of an arbitration settlement. A legal system is judged by its capacity to provide unbiased justice. And a case of arbitration is, basically, a legal arbitrator settling conflict between two parties with proper hearing of both sides’ issues, evidences and testimonials for an award. What no number of heated and spirited in-the-court hearings cannot solve, a well-executed arbitration can solve in the out-of-the-court settlement. The process is fair, unbiased and an example of judicial justness, only the best lawyers of Chandigarh high court take part in these third party settlements. a) To cover all international, commercial and domestic arbitration and conciliation cases. b) To provide fair, efficient arbitration results that also takes care of the needs of both the parties. c) To justify the arbitration award. d) To make sure that the arbitration process remains well within the realms of jurisdiction. e) To minimise the role of the court in the process. f) To make room for mediation and conciliation during the arbitration procedure. g) To see that the arbitral verdict is observed as the decree of court is observed. i) To make sure the award is observed as a foreign award when the arbitral award is awarded by a foreign country with an Indian entity. In this legal procedure, two interested parties agreed upon the legal role of an arbitrator in case of settlement of any existing or future dispute between the parties. Advocates of Chandigarh high court, in these agreements, should bear the responsibility of putting the agreement clause in paper. Intellectual property disputes also fall under this agreement. The number of arbitrator is decided upon by the parties. If they need more than one arbitrator, the arbitral tribunal is formed with odd number of arbitrator. f) Appointing a guardian for a minor etc. are not to be solved with arbitration. Any arbitration procedure calls for mutual respect and a faith in the judicial system. The skill, judgment and sensitivity of the arbitral tribunal are keys to the success of the proceeding.